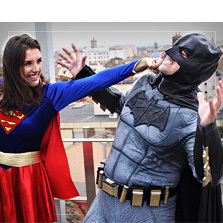 Where would Batman be without Robin? 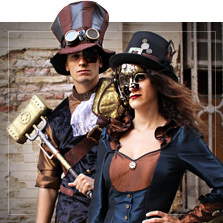 Or Sherlock without Watson? 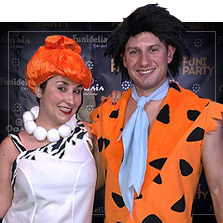 What about Fred Flintstone without Wilma? 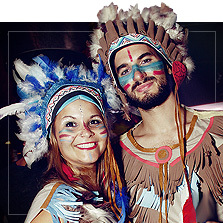 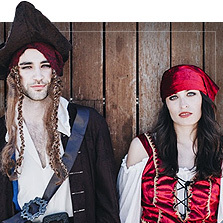 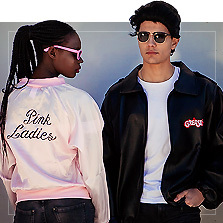 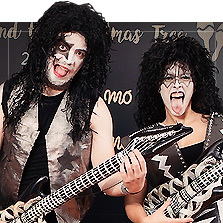 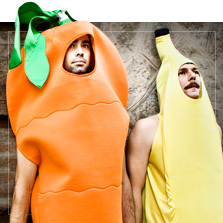 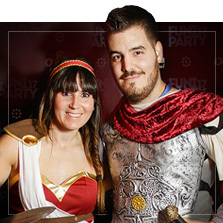 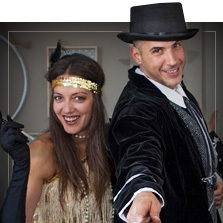 Couples costumes are the best dress up idea for the next Carnival, Halloween or themed party. 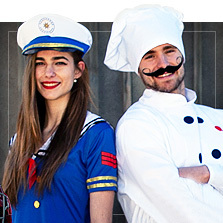 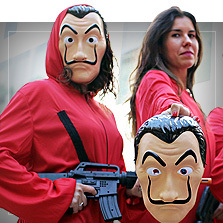 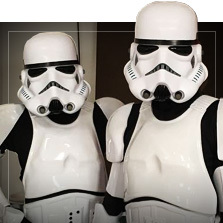 Couple, family and group costumes make for even more original and fun costumes, besides being loads of fun! 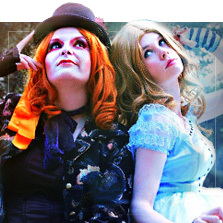 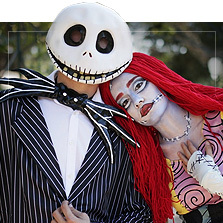 Get inspired by a famous movie twosome like Alice and the Mad Hatter, a cartoon couple like the Flintstones or Wally and Wenda, or superhero partners like Batman and Robin. 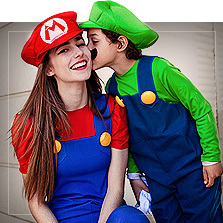 Or, get even more creative and dress up as villains like the Joker and Harley Quinn, video game characters like Mario and Luigi, or Pac-Man and a ghost! 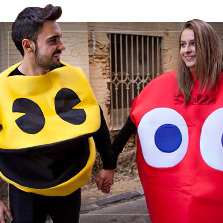 Share the scariest night of the year with a buddy with these fun Halloween couples costumes. 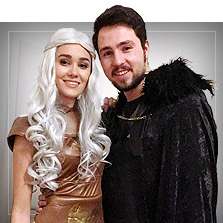 Show up at the party as Jack and Sally from The Nightmare Before Christmas, Chucky and his girlfriend, Gomez and Morticia Addams, Frankenstein and his girlfriend or Dracula and his vampiress…you can even become a White Walker duo with these Game of Thrones masks and costumes. 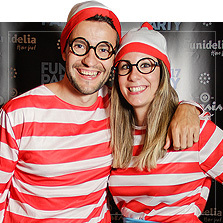 All you have to do now is choose your favorite theme, decide who your partner is going to be and get ready to double the fun!